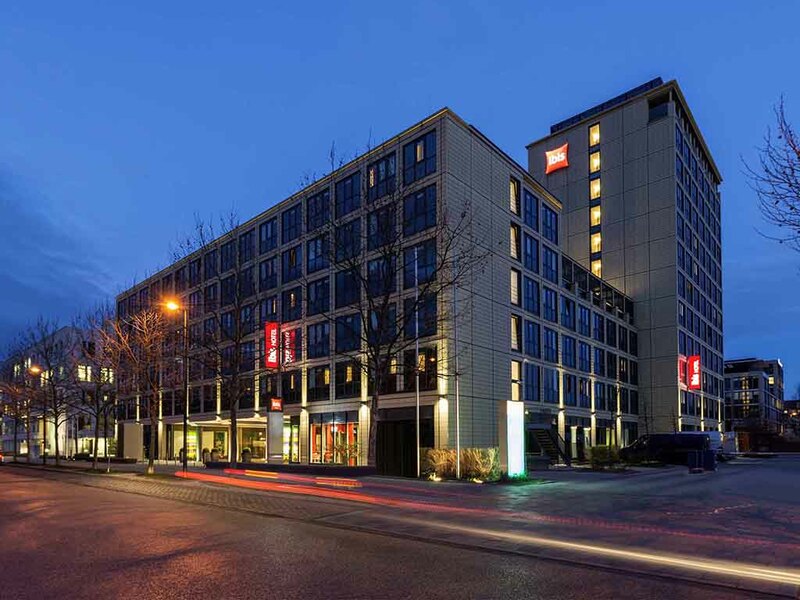 Hotel ibis Munich Parkstadt Schwabing. Book now! Wifi! The ibis München Parkstadt Schwabing is located in Schwabing, the most popular district in Munich, between the English Garden and Leopoldstraße. Both attractions are just a short distance away. Our hotel has good public transport links. It is a ten-minute journey to the Allianz Arena and Olympiazentrum, and Marienplatz is just 2.5 miles (4 km) away. All 147 rooms are air conditioned and have 24/7 WIFI. WIFI is available free of charge in the lobby, bar and restaurant. We offer exceptional comfort in all of our 147 air-conditioned and soundproofed rooms. Amenities include a TV with a wide range of Sky channels, free WIFI and a functional desk for your office on the go. The beds were nice (but the pillows too high) and the room interior was OK. The bathroom was like walking into the 80's unfortunately - plastic and not lavish. The breakfast was the best part! Everything you wished for was there. Weird room. terrible bath room. Very tight everything. Not enough light. I come every year and enjoy my stay thoroughly. The staff are kind and the rooms are neat and tidy. Generally very good just let down by poorly trained and motivated bar/restaurant staff who spent too much time posing and not enough attending to customers needs! Rooms are clean but a bit outdated furniture and elements. Breakfast is great! it's nice and comfortable room I got wish brilliant services, then only issue there was the shower head could not be mounted probably and it's a little old and wore out. The view from our room was fabulous (thanks to front office team) and we really liked the entire atmosphere of the hotel and area nearby. Stayed for one night, the room was very clean and the bed extremely comfortable. Buffet breakfast was really good. As always, I was unable to check in to the website because my credit card security code was allegedly incorrect and required fields were not filled in (a problem I reported to support several times). The night concierge made an overstrained impression (including the platinum member benefits), then gave me a room that was apparently cleaned, but the bed was obviously used afterwards. Strong smell of sweat and urine. On my complaint I got a room on the ground floor, right next to the stairwell and remarkably loud and cold. In addition a quite large hair tuft lay in the bath. Photos of bed and hair tuft are present, if one should doubt that. When checking out I was not asked if I was satisfied with my stay. Many thanks for the support, the lady with short black hair was so helpful, really amazing support. Breakfast great, bar service great, arrival awful get a DoubleClick when ordered a twin, told over booked and told to get on with it and would change in the morning, not great experience and lack of empathy just made both of us angry.